We would like to add you to our growing membership list. For a donation of $20, you can become an official member of Stand Up To Coal. We also welcome additional donations to support our ongoing work, such as postage and legal fees, stopping the proposed Bulldog Mine. For more details, visit our Membership page. 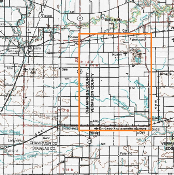 Six months ago, sunrise coal was given six months to submit revisions of their land permit for the 400-acre Bulldog mine surface facility to IDNR. The deadline has passed, but we haven’t heard any word yet. Soon, we will hear one of three things. They were granted another extension. We will let you know as soon as we know.